KVM is a hypervisor software which helps you run a multiple guest operating systems on a Linux machine with the help of hardware virtualization extensions. KVM supports the wide variety of guest operating system’s such as Linux, Windows, Solaris, Haiku, REACT OS and much more. 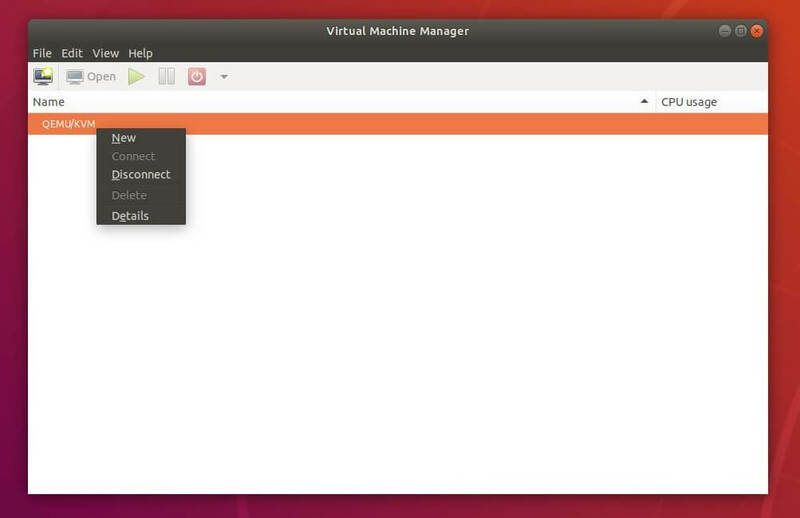 You can manage virtual machines using the command line or available graphical tools. Virt-Manager (Virtual Machine Manager) is the most widely used graphical application for managing KVM based virtual machines, and it supports creating, editing, starting and stopping KVM-based virtual machines, as well as the live or cold migration of guest machines between hosts. If the above command returns nonzero, then your hardware supports VT else it does not. 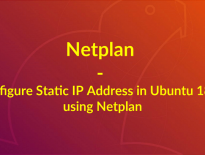 A bridged network is a dedicated network card to a virtual machine which helps guest machines to connect outside the network, and this must be set up before creating a virtual machine using Virtual Manager. You can either use /etc/network/interfaces or Netplan to configure bridged networking for KVM. Here, we will use /etc/network/interfaces file to configure bridged networking so that VMs can be accessed from external machines. 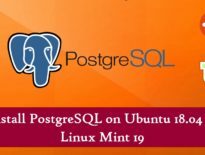 Install bridge-utils package using the apt command. Edit interface file to create a bridge br1, this should be executed on KVM host. My machine has only one network card (ens33). So, I have created a bridge using the single network card. Make changes to the interfaces file according to your environment. DHCP IP: (Only if your environment has the DHCP server). Install the below packages for KVM set up. 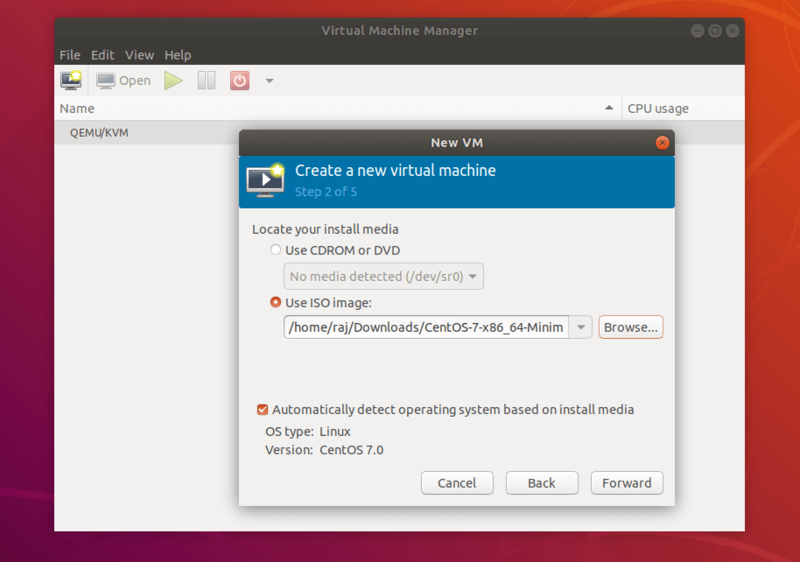 qemu-kvm = Kernel-based Virtual machine. QEMU uses it for CPU virtualization. Ensure users who are creating virtual machines belong to the libvirt group. Use id command to check the user details. If you are creating new users, then add them to libvirt group. Activities >> Search for Virtual Machine Manager. Once it is opened, right-click on localhost(QEMU) and then click on New. 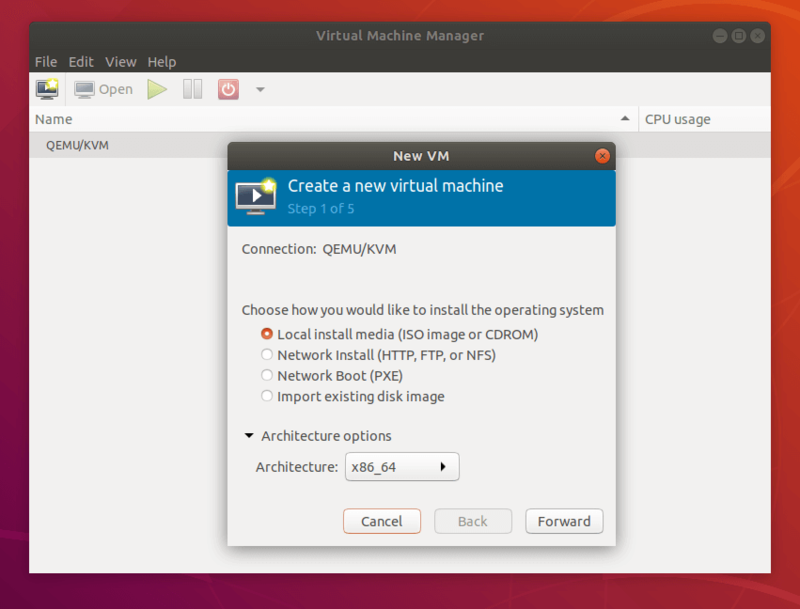 The Virtual Machine Manager will start a wizard to create a new virtual machine. Step 1: You will be asked to choose how you would like to install the operating system. Here I decided to install it from ISO image or CD-ROM. 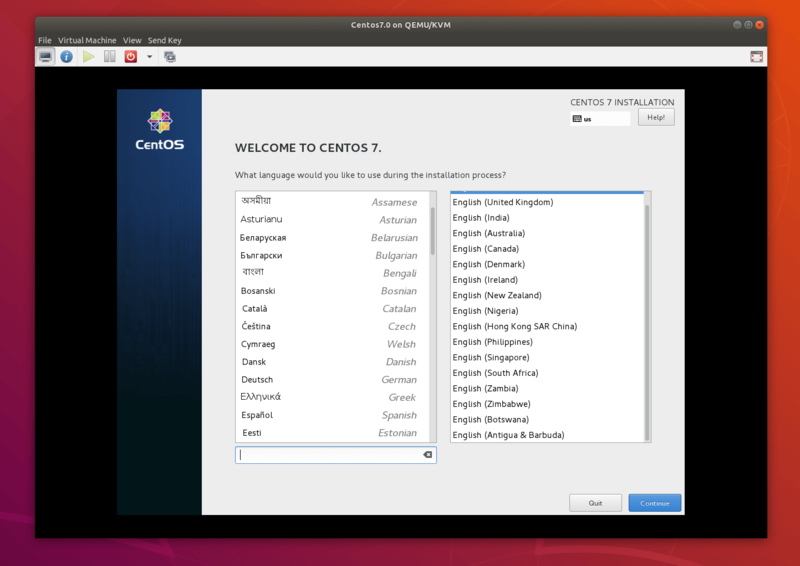 Step 2: Browse to the location of ISO image and select the ISO image. The new machine wizard will try to detect operating system based on ISO, if not, manually choose an operating system type and version. 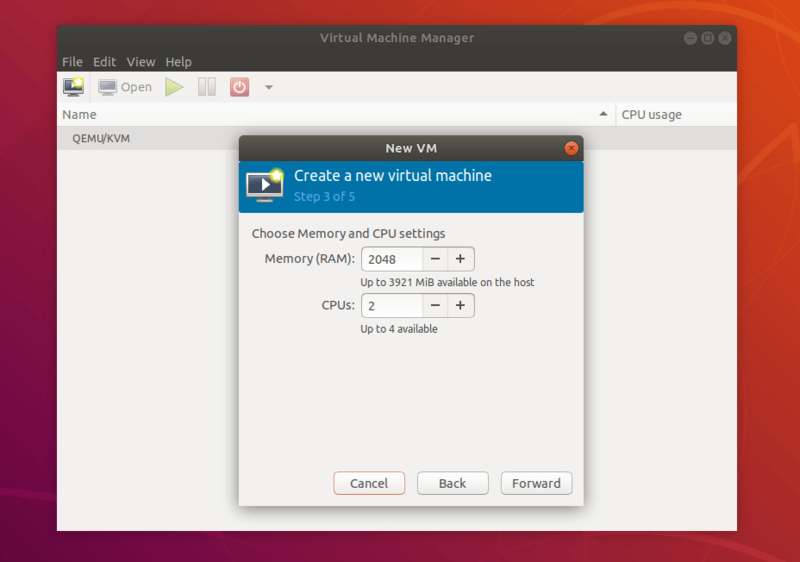 Step 3: Configure CPU and Memory resource for the virtual machine. Step 4: Here, mention the amount of storage you want to assign to a virtual machine. Step 5: On this page, you will get the summary of all settings. Select the bridged adaptor we created earlier to allow a virtual machine to communicate outside networks. Click on Finish. 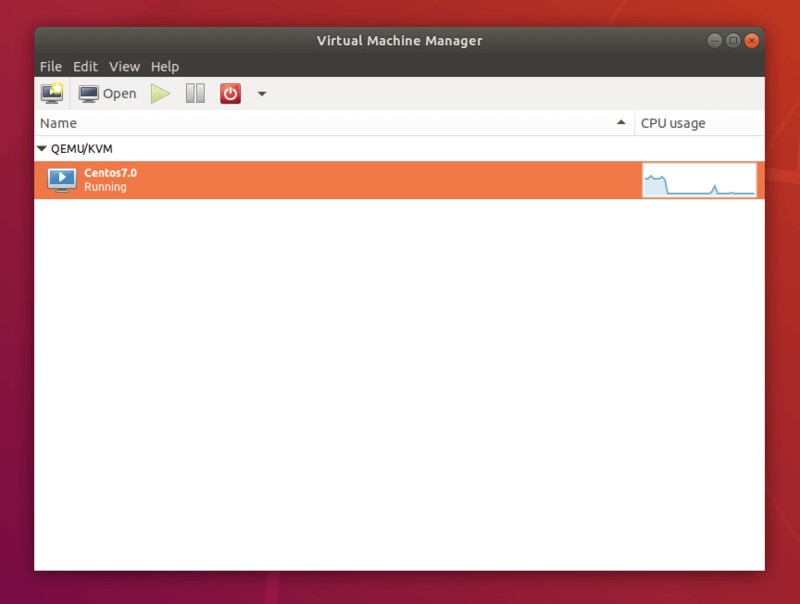 Step 6: Virtual Machine Manager will start to create a virtual machine depends on our input. Once VM is created, Virtual Machine Manager will start the console for OS installation. With the Virtual Machine Manager, you can perform VM’s life cycle actions such as start, power off, reset, clone, and migration by right-clicking on the selected virtual machine. You can manage a virtual machine by clicking the info icon in the virtual machine console. Here you can add, remove, and modify devices connected to a virtual machine.